The inspiration behind this shoe is simple. The creator went really personal, and based this shoe off of London’s romantic summers, including details from her first date with her current girlfriend. The colors are based off the sunset, and other details are based off the drinks they bought at the corner shop and the price tags. She’s quoted as saying “overall the shoe is about loven and good vibes”. This shoe was cultivated by Jasmine Lasode. I think Jasmine hit her goal. The shoe is simple, but you can feel that simplicity was the goal. Her inspiration is definitely the most personal than the other 5 winners. Basing the shoe off of a first date? I mean, who can hate on that? Shout out to Jasmine, and the entire Nike team for executing her vision. And feel free to send me a pair Jasmine. 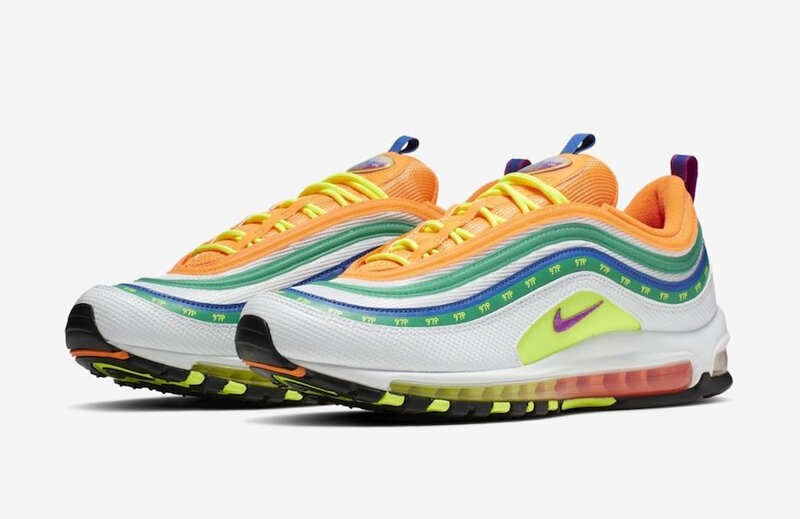 The Air Max 97 London Summer Of Love will release March 26th in London, with a global release coming April 13th. The whole collections won’t be easy to cop, but keep praying to the sneaker gods and hope your prayers are answered. These will be available on Nike.com, through the SNKRS app.